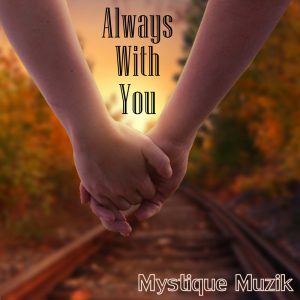 Always With You is a soft rock, acoustic instrumental track with a somewhat melancholy, but also romantic tone. This track builds and builds, coming in with more of a rock element towards the end as it culminates in a slightly heavier, dramatic climax. It runs for just over two and half minutes and is a versatile track that would suit many different projects. It could work in certain movie scenes where light action or encounters between couples take place, in a trailer, for presentation videos, podcasts, wedding videos and much more. Always With You would also blend well with certain types of TV advertising or online advertising campaigns. It’s both motivating and inspiring without being too “in your face”. It really is a track that can be utilised successfully in so many ways and is perfect for sync licensing. Television shows is yet another possibility. If you need a predominantly acoustic track that rocks without being hard and heavy, then Always With You is definitely worth checking out.